The Vienna Philharmonic Orchestra’s annual ‘Summer Night Concert’ in the gardens of the Baroque Schönbrunn Palace are a highlight of the classical music calendar. The backdrop of the UNESCO World Heritage Site is breathtaking – and so is the music. This year the programme is dedicated to Richard Strauss, born 150 years ago. Conducting the concert for the first time is maestro Christoph Eschenbach. ‘‘Everything is special about this concert. 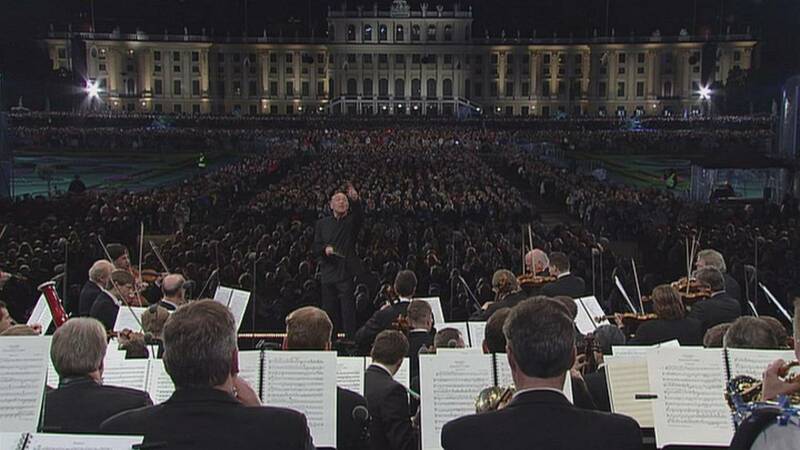 First of all it speaks to so many people who come here and then of course the ambiance which is unique in the world: The Schönbrunn Palace and its wonderful gardens and we might as well just say it: the best orchestra in the world,” says Eschenbach. On the programme – one of Strauss’ most popular compositions: Till Eulenspiegel’s Merry Pranks. “It is an absolute masterpiece with many of Till Eulenspiegel’s different pranks musically evoked. It is a masterpiece of orchestration, of ideas and humour,” says Christoph Eschenbach. Stories about German peasant folk hero Till Eulenspiegel have been told for centuries. The so-called tone poem is about this medieval troublemaker. “It’s really difficult to play and that is something which I really like about Richard Strauss’ music. It’s always a challenge,” Auer adds. Hector Berlioz was known for his innovative orchestration which he laid out in his theoretical treatise. Strauss expanded on the studies of the French composer. “Both of them were masters of instrumentation. And Berlioz was the first composer to publish a study of orchestration and so the spark somehow transferred – it jumped from Berlioz to Strauss,” Eschenbach adds. A special thanks goes to Hotel Imperial in the making of this programme.